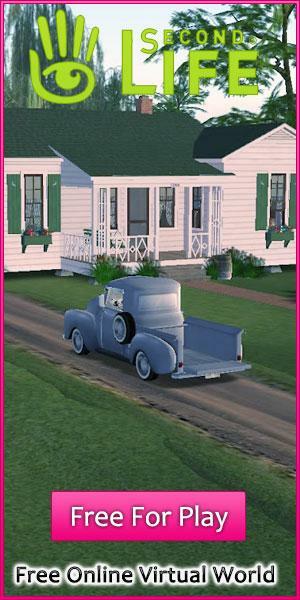 Tips and Tricks to Playing Mahjong at TheMahjong.com Article - Virtual Worlds Land! Rate this Article Are you having some problems solving the many mahjong solitaire puzzles on TheMahjong.com? We've got just the guide to help you out! Well, guess what? We’ll be lending you our years of expertise in playing mahjong games to help you conquer the mahjong board in TheMahjong.com! How hard can it be to find 2 matching pieces of mahjong tiles, you may wonder. Well, it’s not really too hard to be honest, and if you stare at a board hard and long enough, you should be able to spot the matches you’ve missed. But today, we won’t be discussing about that - we will instead be teaching you some simple strategies that you can use when making matches. The first tip here is to find matches that will uncover the most tiles underneath. So, let’s say if there are 3 matching tiles available on the board and by matching the 2 on the left, you can open up 4 new and match-able tiles as opposed to having simply 2, then by all means go with the 4. However, there’s an exception to this rule. There are certain configurations that warrant your immediate attention in a mahjong game. For instance, tiles that are arranged in a horizontal row will need to be whittled down as soon as possible... and so are tiles that are stacked up and/or blocking a ton of tiles underneath them. Not to mention, as you may already know, matching can be a pretty fickle thing in mahjong solitaire games. This is mainly because if you accidentally matched the wrong set of tiles together, you may find that it is impossible to solve the mahjong puzzle you’re on since the last two tiles you need to match happened to be stacked on top of one another. As frustrating as this may be, there are actually two main ways, short of doing a game restart, in TheMahjong.com where you can get yourself out of this tricky situation. The first and probably the most tedious method is by using the undo option. You can undo all your previous moves right up to the point when you’ve made the wrong match. However, if you want to opt for the simpler option, you can just use Shuffle. It will help you rearrange the tiles so that you will be able to get out of the dilemma you’re in. After all, both options are free in this game and although I can understand the need to solve a puzzle without needing a “crutch”, there is no shame in needing an undo or a shuffle from time to time. Worse comes to worst, if you do insist on playing an undo- or shuffle-free game, then you can always restart the game you’re currently on and hope you’d do better the next time around. 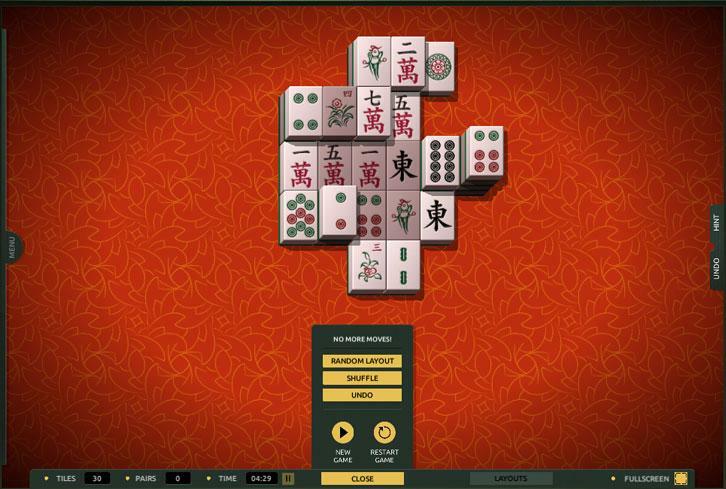 Most players are often so engrossed in solving the mahjong puzzle they’ve been presented that they have neglected the wealth of information that is pretty obviously displayed at the bottom of the game interface, where all the menus are. Although the game pops up a cue when you ran out of moves, you can easily know beforehand that there are no more matches left simply by checking the Pairs counter at the bottom. Here, you can also know the total number of tiles remaining on the board, which can be pretty helpful if you intend to plan your moves ahead.